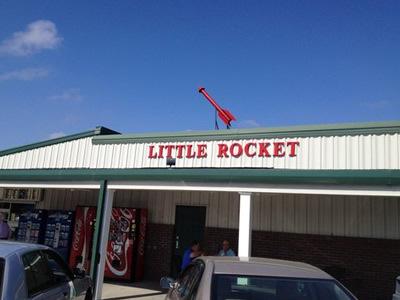 The Little Rocket is known for its famous hot dogs, cheese biscuits, homemade banana pudding, and chicken salad! We accept cash and management approved checks at the window! There is an ATM located under the shelter.